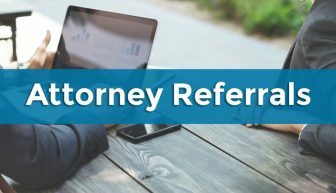 During any calendar year (Jan. 1 — Dec. 31), eligible members, including, spouses, domestic partners, or dependent children are entitled to two, free 30-minute consultations with any Association-approved attorney. Consultations are an opportunity to discuss a concern with an attorney, to consider options, and to determine if further legal services are recommended. The attorney does not draft or review documents during a consultation. Participating attorneys are located throughout the state; therefore, you are not limited to the attorneys closest to you. Click here to download a listing of participating attorneys by county. The EEL Program is a professional liability insurance program that is provided by NEA as a benefit of membership and is underwritten by AIG Companies (AIG). What does the EEL Program cover? Payment of the legal costs of defending civil proceedings (other than proceedings concerning Civil Rights) brought against you in the course of your work as an educator, and up to a $1,000,000 national limit* in damages assessed against you as a result of such proceedings. The policy provides up to a $300,000 national limit* worth of defense, settlements or judgments and other supplementary payments for proceedings concerning Civil Rights** as well as a $5,000 sub-limit for defense on Mold related claims. Coverage is subject to a $3,000,000 per occurrence limit regardless of the number of members involved in the occurrence. In your work as an educator you are frequently exposed to situations that may give rise to legal actions which can involve your personal liability. If a student or a student’s parents file suit against you, the EEL Program will provide you with insurance protection for the vast majority of cases. The program also reimburses you for damage to your personal property in assault-related incidents. What is an “occurrence” policy? The EEL Program policy covers claims arising out of your covered acts which occur during the contract period, no matter when the claim is later made. Claims arising out of your covered acts, which occurred prior to September 1, 2007, would be covered by that prior year’s “occurrence” policy. If you are an NEA active, educational support, life, student, substitute or retired member who is employed by an educational unit, you are automatically covered by the EEL Program. The entire premium for the program is paid by the NEA. Are some activities excluded from coverage? Yes. Certain activities, which NEA members perform, are excluded. The following is a summary of some of the major activities that are excluded from coverage under the EEL Program. For further details, please consult your Certificate of Insurance brochure. Rendering, teaching or supervising medical services. Exceptions to these exclusions: (a) first-aid and regular nursing services rendered by a school nurse, or rendered by a certified health aide under the supervision of a school nurse, (b) physical, occupational or psychological therapy or treatment rendered by an appropriately licensed or certified practitioner, (c) the administration of oral prescription medicine to a student at the express request of his or her supervisor or at the written request of a student’s parents, (d) emergency first-aid services when a school nurse or other medically trained person is not readily available, and (e) health care services provided to a student who is designated disabled under the Individuals with Disabilities in Education Act when expressly required by the employer and approved in writing by a student’s parents. Law enforcement activities, except for those of a security guard. Using or supervising the use of firearms, except where this activity involves the use of physical restraint in defending yourself or school property. Is the EEL Program limited to incidents that occur in buildings or on school grounds? No. The program provides coverage for educational employment activities on and off school grounds including, for example, school-sponsored athletic events, laboratory experiments, shop training, field trips in the U.S. and abroad, and after school clubs. Educational employment activities are those duties that you perform pursuant to the express or implied terms of your employment for an educational unit. Yes. Attorney fees and court costs up to the maximum of $35,000 will be reimbursed when the costs are incurred in the defense of a criminal proceeding arising out of your educational employment activities. In most cases, you will be reimbursed only if the proceeding is dismissed or you are exonerated. If, however, the proceeding arises out of an incident involving the administration of corporal punishment, the program will provide reimbursement, regardless of the outcome. Does the EEL Program cover civil rights cases? Yes. Defense, settlements** or judgments** and court costs up to a maximum of $300,000 will be provided when incurred in the defense of an action arising out of your educational employment activities and alleging a violation of another person’s civil rights. Does the EEL Program cover cases arising out of the discharge or layoff of a member or involving other “jobs rights” issues? No. Another NEA-sponsored program, the Kate Frank-DuShane Unified Legal Services Program, provides coverage for these types of cases. For more information, contact your local association UniServ Office or the headquarters of your state association. Is the EEL Program “excess” to other insurance coverage which might be available to me? Yes. “Excess” is a general insurance term that means insurance benefits become available to you only when other sources of insurance are exhausted. For example, if your school district provides professional liability coverage for you in some of the same areas as does the EEL Program, the EEL Program would not provide benefits until the school district’s coverage is exhausted. * May have state variations, check with your state association. ** State insurance laws do not permit this coverage in New York. The information in this brochure is a general description of coverage under the NEA EEL Program and is not a statement of contract. All coverages are subject to the exclusions and conditions in the policy which may vary slightly from state to state, depending upon state laws governing the general provision of insurance.